Light weight, reclines flat, perfect for napping. Seat unit is narrower than others we tried. We originally bought this as a back up pushchair, mainly to be kept at grandparents house and for use on holidays. It's a brilliant light weight stroller, perfect for taking on holidays. The seat lies almost completely flat, which made it a easy choice for us when picking something to take abroad with us for our 12 week old. The only negative would be our 2 year old seems to be running out of space in regards to width of the seat, and no longer looks as comfortable when napping it in. Perfect for using when baby outgrows their stroller. 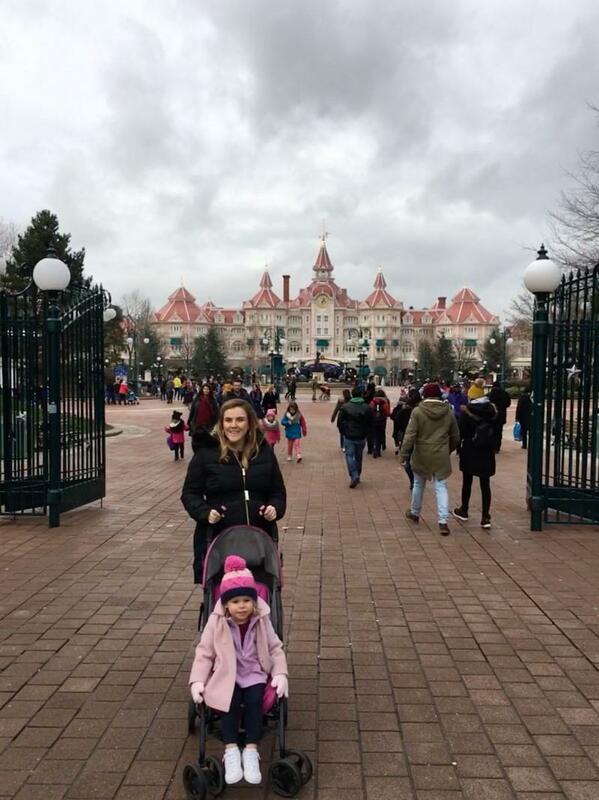 I’ve used the stroller ever since my daughter outgrew her pram. You can push the back all the way down so when your child has fallen asleep they will be able to lie down in the stroller. The wheels are 360 but I have found that they have gone a little stiff over time but I’m Still able to use it. It’s super easy to fold down and fits in our car boot lovely. It takes literally 2 seconds to pop up or fold down which is perfect when there is bad weather outside. 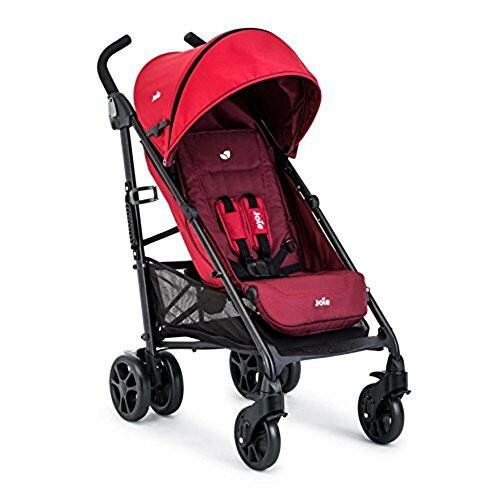 Lovely stroller very lightweight and easy to steer nice and roomy and very cushioned for a stroller. It's very easy to fold and comes with a raincover which is great and looks good too. 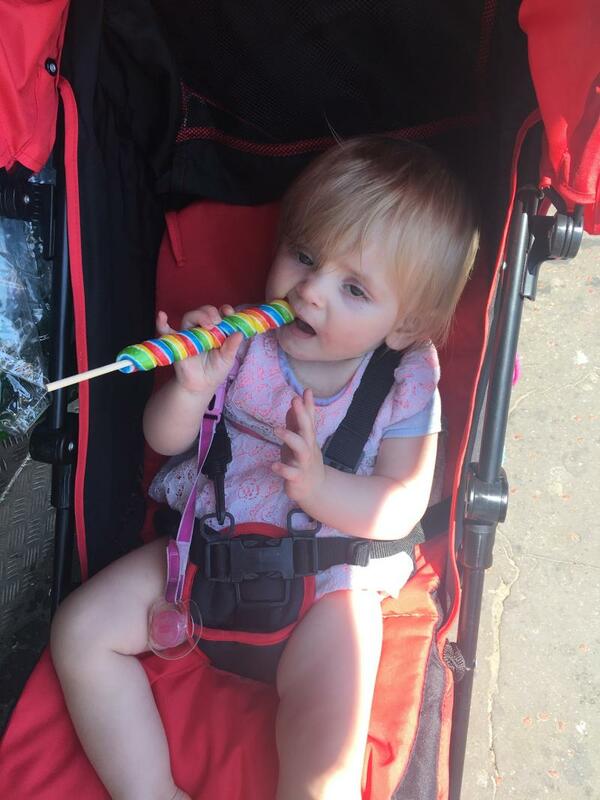 We brought this pushchair for a holiday when my daughter was 18 months and have used it as her main pushchair since (Now 3). Its lightweight, easy to fold and has a huge hood. The basket underneath is also handy. The only slight niggle I have is the handle height is non adjustable. Being tall i'd prefer a slightly higher handle. Overall for the price it's a great pushchair and my daughter loves it. 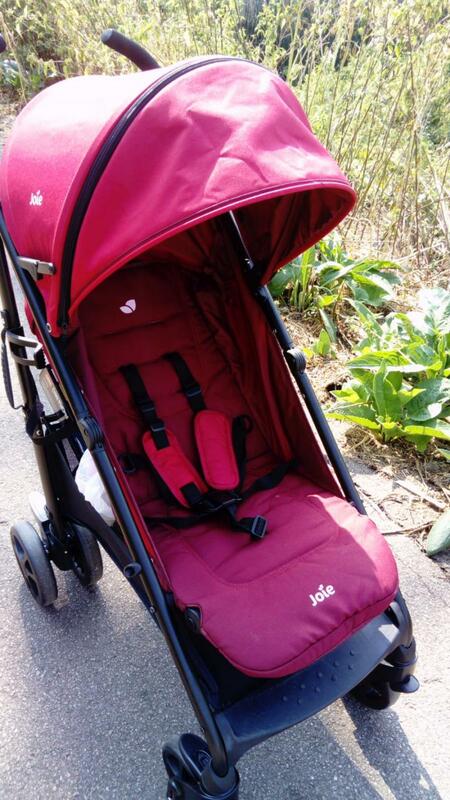 This was bought as a second stroller to take on holiday as ot folds compact so takes up less space but also lays virtually flat which is ideal for our 6 month old. We also likes that the hood had an extension bit giving more shade and protection from the sun. Only down side is the straps seems to come apart every time you unclip them to get baby out. So then having to mess around with them every time we put her back in the stroller. Other then that its a good stroller and worth the money we paid out on it. I am sire it will gut much more ise as she grows! I absolutely love this stroller! 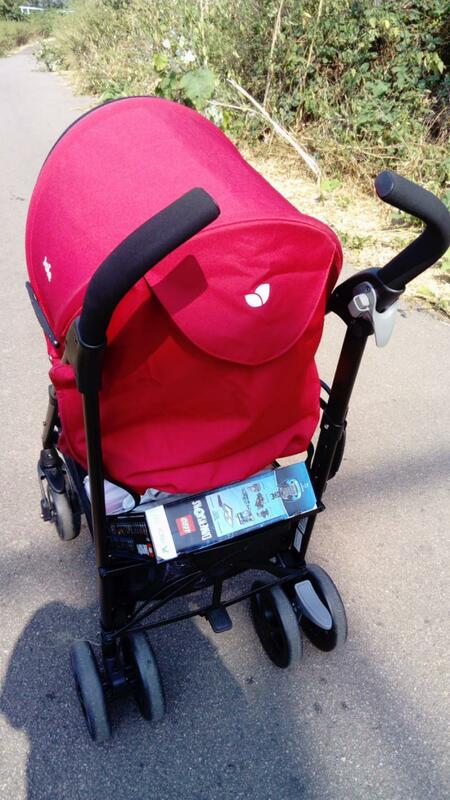 It's perfect for my baby, it's really easy to use it to fold it and it s spacious! Great colour as well! Great stroller! My most favourite I've had! Easy one hand folding for when you need to hold little. Zip in the hood to enable extendable hood for better protects from the weather. 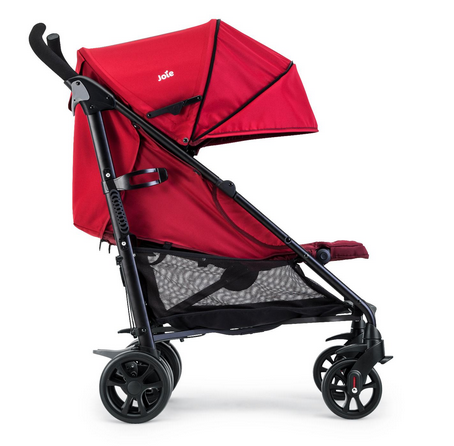 Absolutely love this pram, its lightweight, bright&fun. My son loves it its so very comfy and i have got more than my moneys worth out of it. Its a great value for money and ide recommend it to any one i could. Well made, sturdy, looks lovely. Wheels are rattly on uneven paths, not great for long children. I found the pushchair to be slightly awkward to steer at first but I soon got the hang of it, the fold is really easy, can't fault that. I found it to have not enough leg room for my tall 2 year old but for younger and more petite children it'd be perfect. Also the paths round by my house are uneven and the wheels made an awful rattly noise on them but were perfect on even ground and in shopping centres etc. We have this, in blue, as a spare buggy to keep at the grandparents house. It has been great, although quite long even when folded so only fits in one of the cars! It is a sturdy buggy and has been used on all-terrains as they live in the countryside. My son seems very happy in it and often falls asleep in it so must be comfortable! Great pushchair that is good value for money. Very easy to fold down even with 1 hand! Lightweight and easy to lift. I purchased it for my son when we where going on holiday, not only was is very easy to carry around with us, it was also sturdy enough to withstand the journey and been thrown around. Would recommend! As I walk alot wheels aren't as hardwearing as I would like. I love this buggy! My little boy also does. It's very good value for money. Had mine a few months now, I walk quite a lot and the wheels are wearing so do wish they were a little more hardwearing. This product is very good I have had mine since my child was 1 and had no problems other than a little bit of rusting. It is a very robust stroller i don't drive so when I need some shopping it has to go on the stroller and it carry the weight of the shopping as well as my 2 year old son who by the way is not light weight himself. Would definitely recommend to friends and family an amazing product. I had to but this pushchair as my little one unfortunately broke his foot. He had not long come out of his pushchair so it wasn’t what I thought I was going to have to be buying again. It was perfect for what I needed and was plenty big enough for him to sit in comfortably. The basket was a good size to fit shopping. The only thing I didn’t like was the straps, they came apart really easy and weren’t very strong. One of the best strollers I have what and I have 3.boys, so easy to push, And has a basket too underneath which is quite big also. I absolutely love this pushchair, can choose different colours for the boy or girl. Comfortable, light weight, easy to fold , doesn't take much space. I love this product, we have had it for two years now and it has travelled on holiday with us several times and still in good condition. The product is light, meaning it is easy to get in and out of a car and easy to carry if it requires to be collapsed. Initially I found it a little difficult to collapse, but once tried a few times it becomes very easy! It has enough space in the basket below for a small amount of shopping, handles are comfortable and it steers well. Would definitely recommend this product. We are using this for 2nd child for this pushchair and it’s still good starting to feel a bit flimsy! The straps are quite easy to get out of but we do have climbing children. 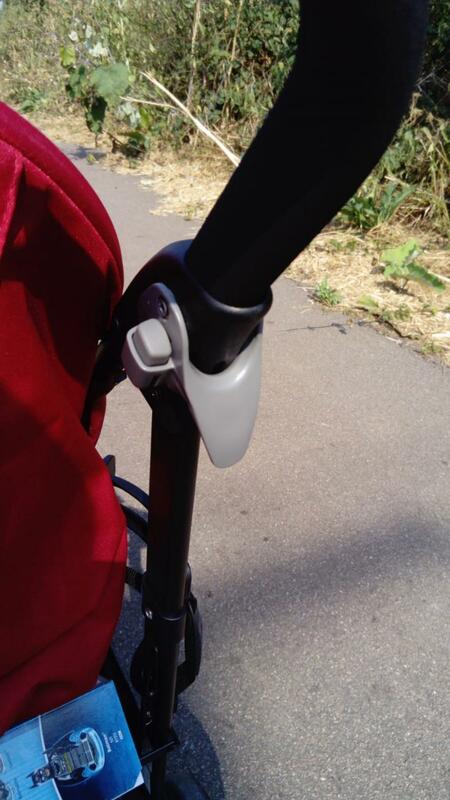 Excellent stroller,so easy to use and great value for money. Great to put down and up. I would highly recommend this product! The petite Brisk pushchair is spontanous and ready to go on adventures with you and your child, from birth onwards. Single handed, one step, swift fold into the most compact size, ready for the smallest car boot. 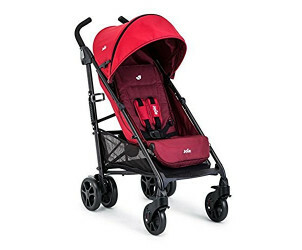 Lightweight pushchair, but packing a lot of punch, the Brisk gives you streamlined style in one well engineered package.